From the cult favoriteÂ Buffy the Vampire Slayer, which netted four million viewers per episode, to the summer blockbusterÂ The Avengers, which amassed a box office of $1.5 billion, Joss Whedon has made a name for himself in Hollywood for his penchant for telling meaningful, personal tales about love, death, and redemption even against the most dramatic and larger-than-life backdrops. This biography follows his development from a creative child and teenager who spent years away from his family at an elite English public school, through his early successesâwhich often turned into frustrating heartbreak in both television (Roseanne) and filmÂ (Buffy the Vampire Slayer)âto his breakout turn as the creator, writer, and director of theÂ BuffyÂ television series. 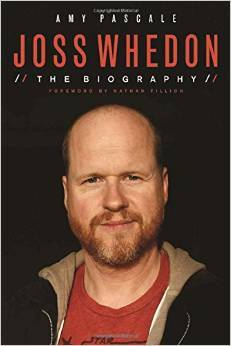 Extensive, original interviews with Whedonâs family, friends, collaborators, and starsâand with the man himselfâoffer candid, behind-the-scenes accounts of the making of groundbreaking series such asÂ Buffy,Â Angel,Â Firefly, andÂ Dollhouse, as well as new stories about his work with Pixar writers and animators during the creation ofÂ Toy Story. Most importantly, however, these conversations present an intimate and revealing portrait of a man whose creativity and storytelling ability have manifested themselves in comics, online media, television, and film. While Merit didnât choose to become a vampire or Sentinel of Cadogan House, she vowed to fight for her House and its Master, and sheâs managed to forge strong alliances with powerful supernaturals across Chicago. But even though Merit has had wild adventures, this may be her deadliest yet…. A killer is stalking Chicago, preying on humans and leaving his victims with magical souvenirs. The CPD hasnât been able to track the assailant, and as the body count rises, the city is running out of options. 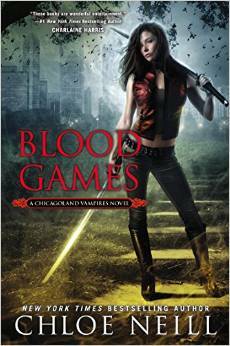 Vampires and humans arenât on great terms, but murder makes for strange bedfellows. Can Merit find the killer before she becomes a target? 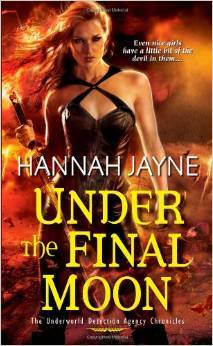 He wanted her off his hands… Now he’ll do anything to hold on to her …Forever. American-born Lydia Price doesn’t care for the stuffy strictures of theÂ ton, and is unimpressed with her foppish suitors. She dreams of studying with the talented but scandalous British portrait painter, Sir Thomas Lawrence. But just when it seems her dreams will come true, Lydia is plunged into Vincent’s dark world and finds herself caught between the life she’s known and a future she never could have imagined. From legends of Vlad the Impaler toÂ TwilightÂ and HBO’sÂ True Blood, vampire stories permeate society. Learn the truth behind the fiction in this tell-all of the hunters who protect humanity from the vampiric threat! For centuries, vampires have wandered the shadows: watching, stalking, preying. But thanks to a group of dedicated and powerful hunters, the vampire threat has remained largely suppressed, evidence of their existence confined to the whispers of myth and folklore. But covens across the world have grown weary. The undead are preparing to rise up and claim their rightful place in society. Vampires: A Hunter’s GuideÂ contains all the information necessary to recognize and combat this growing threat. After an exploration into the origins of these undead creatures, it takes a look at the dozens of species that exist around the world today, placing particular emphasis on the role of the vampire hunter in quashing the rise of the undead throughout the centuries. 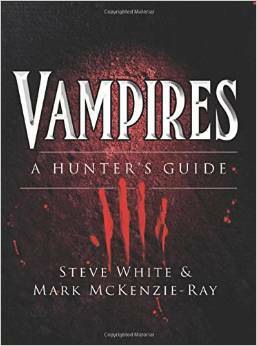 Focusing on the hunters’ weapons, tactics and skills, this book provides information on identifying and eliminating vampires by analyzing the best practices from hunters from around the world, accompanied by full-color illustrations of predator and prey. This is the ultimate resource in the fight to save humanity from the undead.